Could Ami Really Be Allergic to Love Letters? Allergic to Love? Oh REALLY? One of the interesting criticisms I often see about the Sailor Moon series is the seemingly ridiculous fact that Ami breaks out into hives simply be being in the presence of a love letter.1 This, as the fans say, is absolutely unrealistic. Putting aside for a second that we’re talking about a series in which cats talk, junior high school girls live alone, and 14 year olds fight the forces of evil, this seemed like something that might be worth investigating. After all, not only am I not a stranger to researching the real life implications of the Sailor Moon universe, that’s the whole point of this blog! You see, while there are a wide variety of causes for the onset of hives (and I’m by no means a medical doctor! ), it’s pretty clear here that what Ami is suffering from is a stress-induced case of hives known as psychogenic urticaria, or psychogenic hives.3 This essentially means that the cause of the outbreak has nothing to do with any external causes, but is purely related to a stress reaction within the body. This is more common in adults than children,4 though I think it’s safe to say that Ami is relatively mature for her age. Read also: What is the Story Behind Nephrite's Alter Ego? So the good news (… bad news?) for Ami here is that she could very well be having a completely normal reaction to the sudden onset of stress and anxiety brought on by receiving a love letter, so it’s not completely unrealistic as people may say online. 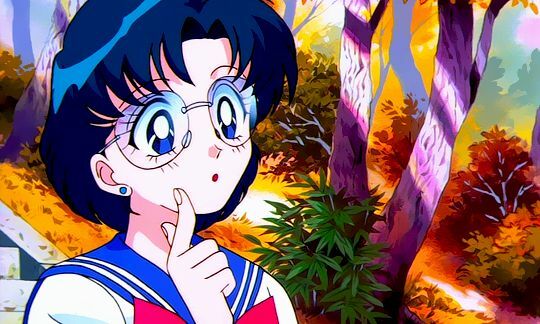 So anyway, while this definitely isn’t to say that everything in the world of Sailor Moon is entirely grounded in reality, there are definitely a lot of myths about the characters (like Ami’s 300 IQ score!) that get misrepresented and make things seem even more outrageous than they really are. Let’s give Ms. Takeuchi a little more credit! 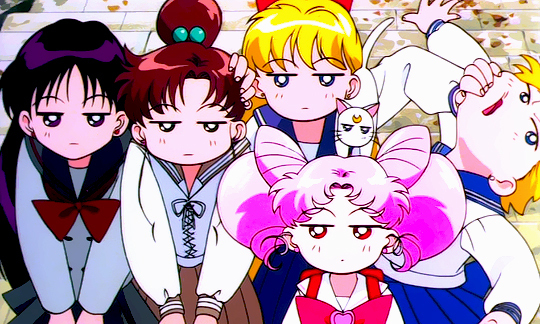 ← Who Was the Original Tuxedo Mask? So I was going down the rabbit hole of articles and stumbled across this one. You helped me solve a personal problem! I’ve been having random outbreaks of hives recently, and my doctor didn’t know what was causing it. I had no idea that depression could manifest as urticaria. Since I deal with seasonal depression, this makes sense. Thank you! Glad it could help! The power of the mind is definitely not something to mess with. It really is amazing just how much of a physical effect stress and depression can have on you! im very curious to know this. Did u like Ami’s First Love? i hated the movie but loved the manga WAY better! i might buy the manga.